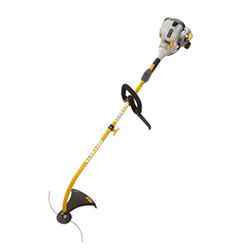 The Ryobi RLT30CESA 30cc Petrol Line Trimmer is a lightweight and extremely manoeuvrable grass strimmer. The Ryobi RLT 30CES-A 30cc Petrol Line Trimmer is also compatible with the Ryobi Expand-It range of garden attachments, making it one of the most versatile petrol line trimmers around. Ryobi know that value for money means little without exceptional performance. That’s why they have always delivered engineered quality and innovation as an integral part of their products. For professional or home garden use. Ryobi tools meet the most demanding standards and continue to offer products for improved performance and greater versatility.